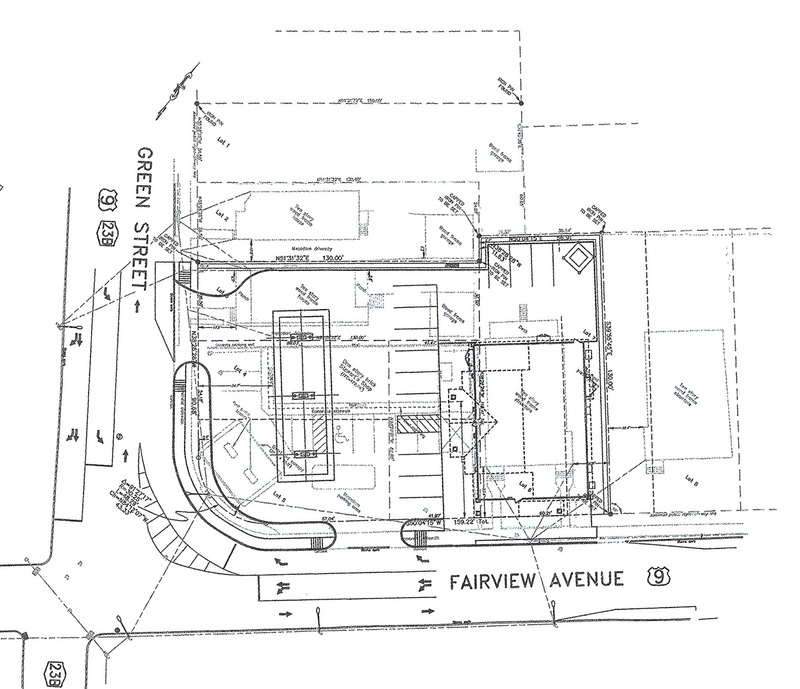 Carole, if memory serves, I believe Scott (from Stewart's) indicated that the sidewalk could be widened on the Fairview Avenue side, as per Matthew's rendering. 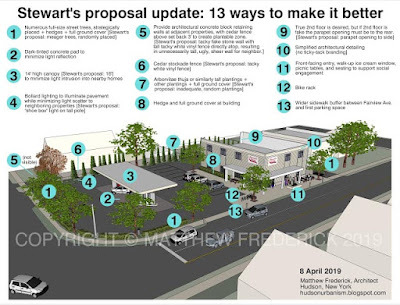 At what point does Stewart's submit its plan and application to NYS DOT? I don't think they will be. It was confirmed on Tuesday that all of Stewart's access and egress was from city streets. DOT will have no involvement. The City owes many thanks to Matthew Frederick for his contributions, and the planning board for working through them. But if there was one meeting for Chuck Marshall to attend, this was this it. If he can't take his sack of council approved promises across the finish line, who will? Incredible how a tree or two is like pulling teeth from a corporation with $1.6b in revenue, so I won't ask about the "much improved intersection" or that "host community agreement". Dear Mr. Marston, I was quite taken back by your tone in your Stewart's post. Mr. Marshall certainly doesn't need me (or anyone else for that matter) to defend him, but I will. Did it occur to you that perhaps he had a professional scheduling conflict? Did it occur to you that perhaps he had a personal emergency? Did it occur to you that perhaps he got a flat tire, or had some other transportation related issue? And does it ever - just one time even - occur to you that Mr. Marshall is a human being with a job to do and a family to support? Mr. Marshall, it seems to me, has conducted himself in a consistently professional manner; has exhibited patience and kindness on more than one occasion where there has been a consistent undertone of hostility, simmering just under the surface. And yes Mr. Marston, I've been to the meetings, do not work in any capacity for Stewart's, and am not Chuck Marshall's third cousin, twice removed. I have not from the beginning understood the anti-Stewart's mania. That's because I'm local. I've not lived in Paris. I've not ever been an elected official in Hudson. I've not taken on giant alledged polluters and I don't drive an expensive vehicle that gets a hundred miles to the gallon like a Jeep Brute. As simple as I obviously am, I do understand that if instead of Stewart's selling chunk light tuna on white bread swaddled in plastic wrap in the to-go section of the store, but instead served shrimp pancakes, or pork katsu presented on lovely place ware, the conversations would be far less snarky, and there would be zero personal attacks. I recognize Lent, but wish you a joyful Spring, Mr. Marston. How can that be? 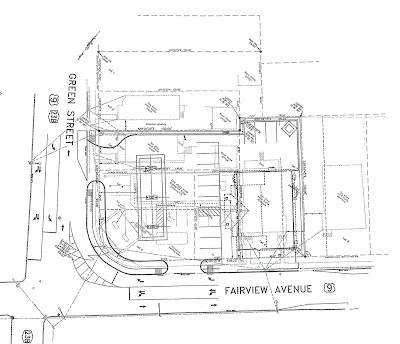 Fairview Ave is NYS Route 9 and Green Street is NYS Route 23B.